A couple days ago I told you about the importance of using a facial mask with your skin care routine. I always make sure to use a clay or mud mask at least once a week because I know those type of mask are better for oily skin. What I didn't know is that there is a clay mask that can be used not only as facial mask, actually you can use it in three different ways! Hace poco les estaba contando sobre la importancia de usar mascarillas faciales en nuestra rutina de belleza. 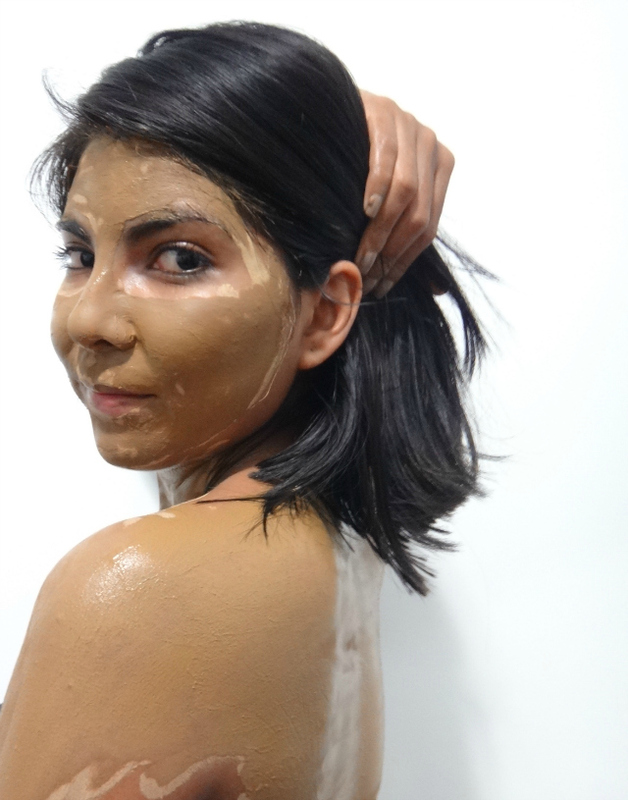 Yo sabía que las mascarilla de barro o arcilla son las mejores para piel grasa, lo que no sabía es que hay mascarillas de arcilla que pueden usarse de diferentes maneras! I don't know if you can do that with every clay mask but at least Zakia's Morocco affirms that their Moroccan Ghassoul Clay Powder is a 100% natural multipurpose Clay powder that is useful to create hair body and face treatments with detoxifying properties that helps to absorb skin grease, remove facial impurities,smooth skin and improve hair and scalp health. I was really curious about that, so I decided to try this mask in every possible way. 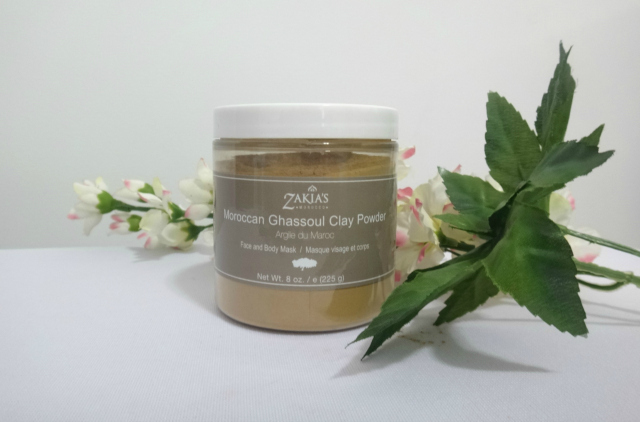 En realidad no estoy segura si cualquier mascarilla de arcilla puede usarse no solo en la cara, pero al menos Zakia's Morocco afirma que su Moroccan Ghassoul Clay Powder es un producto 100% para hacer mascarillas de arcilla y tratamientos de cabello con propiedades desintoxicantes que ayudan a absorber grasa, remover impurezas , suavizar la piel y mejorar la condición del cabello y cuero cabelludo. Todo esto me llamó mucho la atencion asi que me puse a probarlo en todas las maneras posibles. 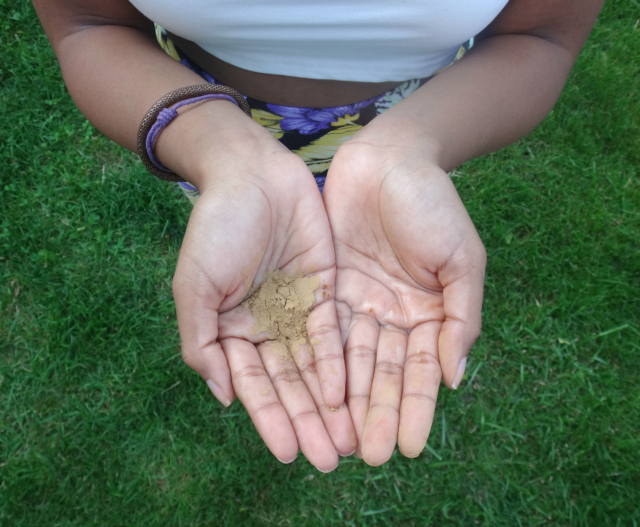 To prepare a facial or body mask I mixed 3 tablespoons of water for every tablespoon of clay powder. I applied it to the face letting it dry for 15 minutes, once it is completely dry it is very hard to remove so I recommend not to wait too long or simply jump into the shower and wait until the water does its job. Used this way, the mask made my skin softer, unclogged my facial pores and it also reduced the appearance of a couple pimples and redness I had on my chest and back. 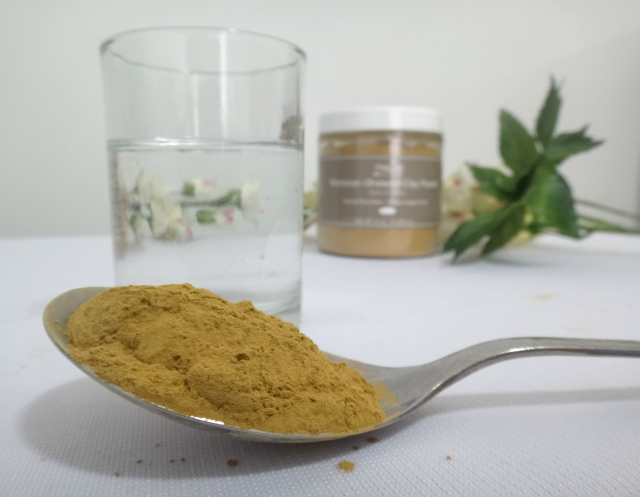 Primero lo utilice como mascarilla facial y corporal, para hacerla mezcle 3 cucharadas de agua por cada una de polvo de arcilla, después la aplique y la deje secar por 15 minutos, yo recomiendo no dejarla secar por tanto tiempo porque se hace más difícil removerla, si eso pasa lo mejor es meterse a la regadera y esperar que el agua la quite solita. Esta mascarilla me dejo la piel bastante suave y también redujo la apariencia y enrojecimiento de unos granitos que tenía en el pecho y la espalda. To use is as a hair treatment the mask preparation it is the same as the body or facial mask and the only difference is that you have to apply it in the hair doing a little massage on the scalp and leaving it there for 15 minutes. Another way to use it on the hair is as a deep clean shampoo by just Mixing a little bit of clay powder with shampoo and using it as usual. I didn't noticed a difference doing once or another, (maybe because I have short hair) it is supposed to reduced the frizz during the week and it supposed to treat split ends by using it regularly. I think the complete hair mask would be better for long hair and I wouldn't recommend to use neither of those if you have dry hair or scalp because while it leaves it soft, it also feels dry the day after. Despues la use como tratamiento de cabello, preparando la mascarilla de la forma anterior pero al aplicarla en el cabello se hace un masaje en el cuero cabelludo y se deja ahí por unos minutos. También puede usarse como shampoo de limpieza profunda mezclando un poco de polvo con un poco de shampoo y lavando regularmente. En mi opinión las dos maneras dieron los mismos resultados (tal vez porque tengo cabello corto) ambas hicieron que no tuviera frizz durante la semana y se supone que también evita las puntas abiertas si se hace regularmente, yo no recomiendo hacerlo si se tiene el cabello o cuero cabelludo seco porque aunque suaviza el pelo también lo deja algo reseco al dia siguiente. Overall this is a good product, I don't think it is different to other clay masks but I like the fact that you can create your mask with the texture you like it, and I'm sure this powder will last a lot considering I only used one tablespoon to cover my chest , back and face. What do you think about it? Would you give this a try? Just in Case you're willing to try it and save a couple of bucks, just use this code ZMBLOG-281 to get a 20% off in your purchase or this or Any other Zakia's Morocco product or you can fill the form below for a chance to win one of the 10 gift certificates of $50 Zakia's Morocco is giving away. En general , el producto me gusto, no creo que sea muy diferente a otras mascarillas pero me gusta que con el polvo se puede hacer la mascarilla de la textura que se prefiera. Ademas estoy segura que este bote dura bastante considerando que yo solo use una cucharada para cubrir mi cara, pecho y espalda . Que les parece este producto? Lo probarian?